Piano Teachers! 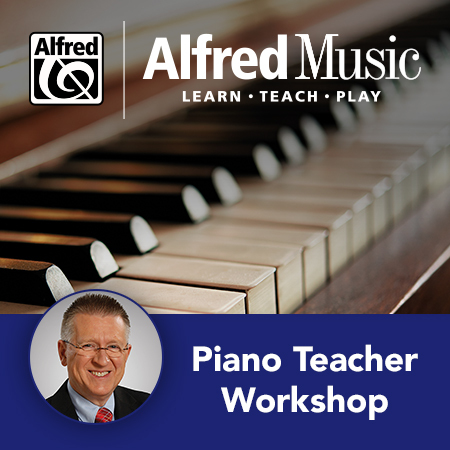 We hope you can join us for a revitalizing and informative Alfred Music Piano Teacher Workshop. • Introduce pieces in a way to establish effective practice skills. • Develop effective solutions for common teaching problems. • Plan repertoire for your students with a fast-paced review of new music. At this workshop, Dr. Lancaster will present new resources and innovative teaching strategies to help you and your students stay motivated & enthusiastic. Please tell your friends about this special event!